The distribution of global wealth has stayed just as skewed as last year, according to a huge study by Credit Suisse. The bank compiled data showing that just 0.7% of the world's adult population owns almost half of the world's wealth, while the bottom 73% have less than $10,000 each. "The 3.5 billion adults with wealth below $10,000 account for 2.4% of global wealth. In contrast, the 33 million millionaires comprise less than 1% of the adult population, but own 46% of household wealth. "The past year saw a slight increase in the number of US dollar millionaires and high net worth individuals, with Japan the main beneficiary due to appreciation of the yen." 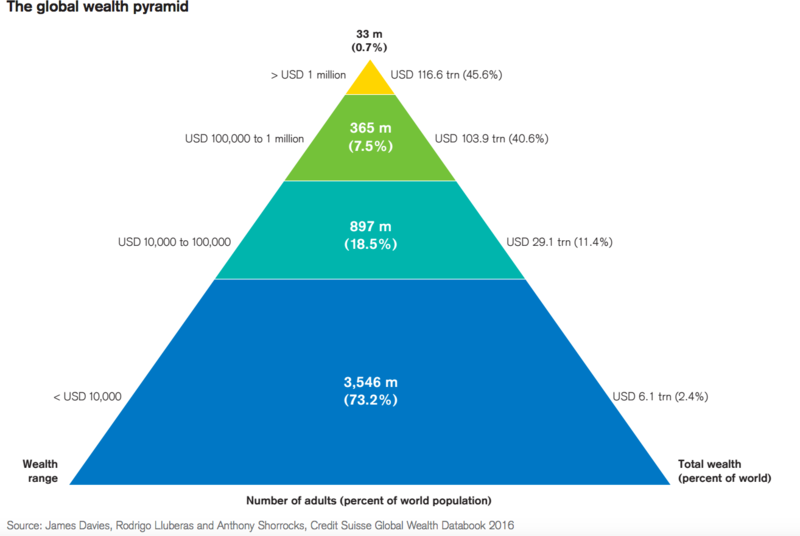 Those at the top of the pyramid, which starts at the $1 million mark, have the same size share of global wealth as last year. 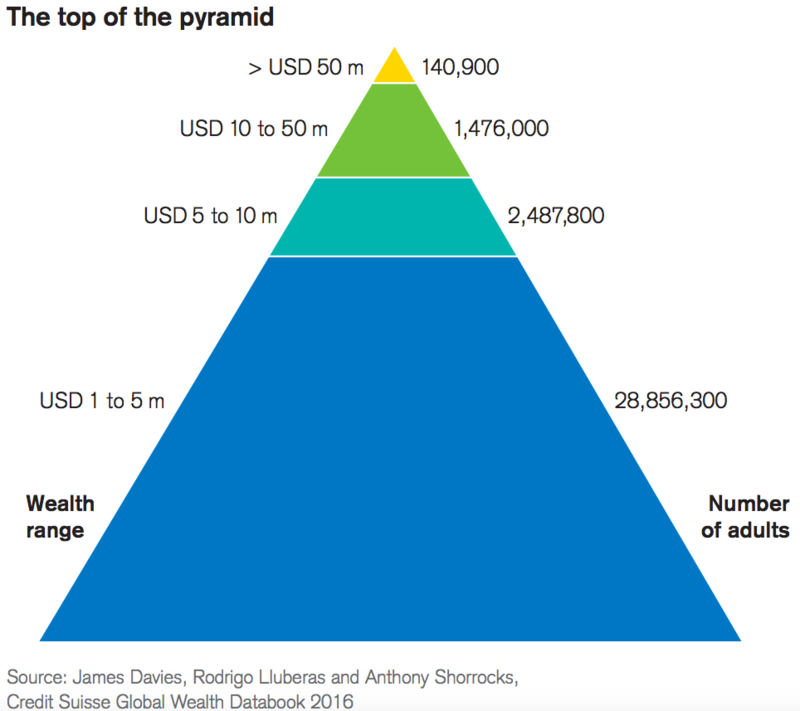 "The top tiers of the wealth pyramid – covering individuals with net worth above $100,000 – comprised 5% of all adults at the turn of the century. The proportion rose rapidly until the financial crisis, but has remained quite stable since that time. It currently comprises 8.2% of the global total, exactly the same as in mid-2015." The US, home to 41% of the world's millionaires, dominates the wealth league tables, while the UK had a terrible year in dollar terms. Britain lost by far the greatest number of ultra-high-net-worth individuals – those with more than $50 million – down 700 to 4,700. The UK also lost the most amount of millionaires, down by 422,000 to 2,225,000 people. Because the data is denominated in dollars, the pound's 18% collapse after the vote to leave the European Union will have driven a lot of the change.